In this webinar, Eric Tobias, Unilytics VP Business Intelligence, will demonstrate how to optimize your AdWords investment using dashboards that provide rapid and actionable insight. Google AdWords Dashboards for Better Insight! AdWords’ complex algorithms and daunting reports mean interpreting the results is a nightmare. A fascinating article in The Register, entitled “Google’s Riches Rely on Ads, Algorithms, and Worldwide Confusion”, digs into several of the not-so-obvious ways Google controls the AdWords system, often to your detriment. 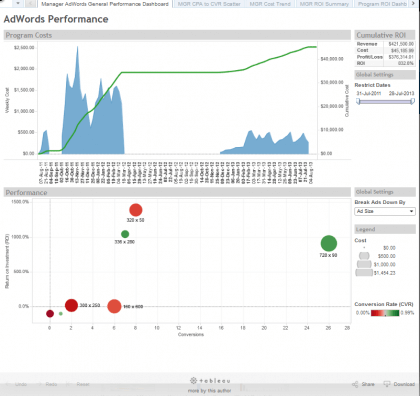 Unilytics has created Tableau dashboards that visualize AdWords performance and provide insight into what’s working and why, and ultimately where to allocate funds. Is Your AdWords Investment Worth It? Learn more.